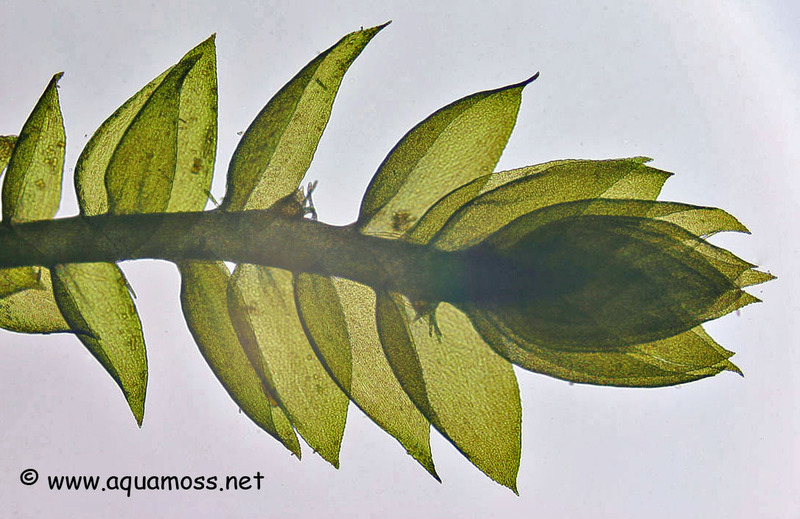 This new species of moss is yet another species of Taxiphyllum as confirmed by Dr. Benito Tan. 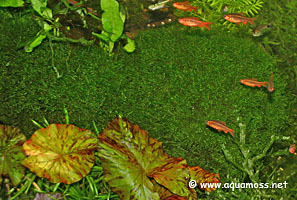 It was available at Plantas Aquaticas, and the picture above was taken from the display tank in the shop. 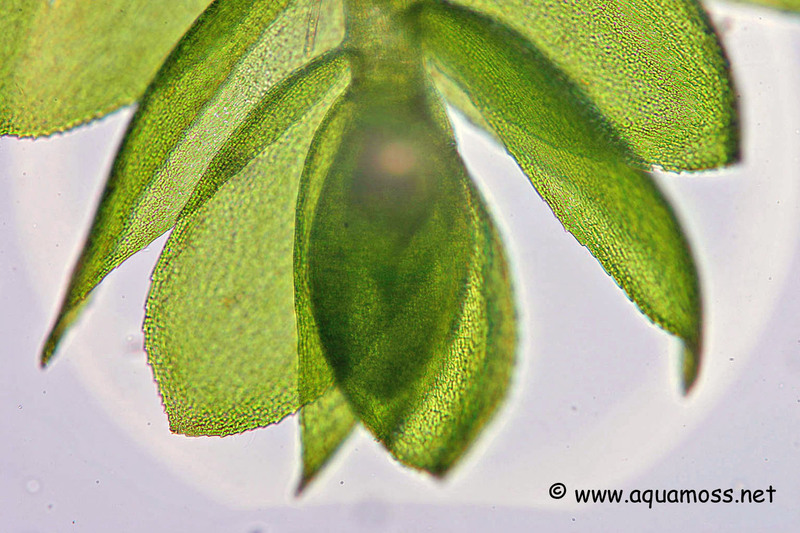 According to the owner of Plantas Aquaticas, Alan, this moss was from China, but since the actual location where this moss has been discovered was not known, the exact species could not be confirmed by Dr Tan. 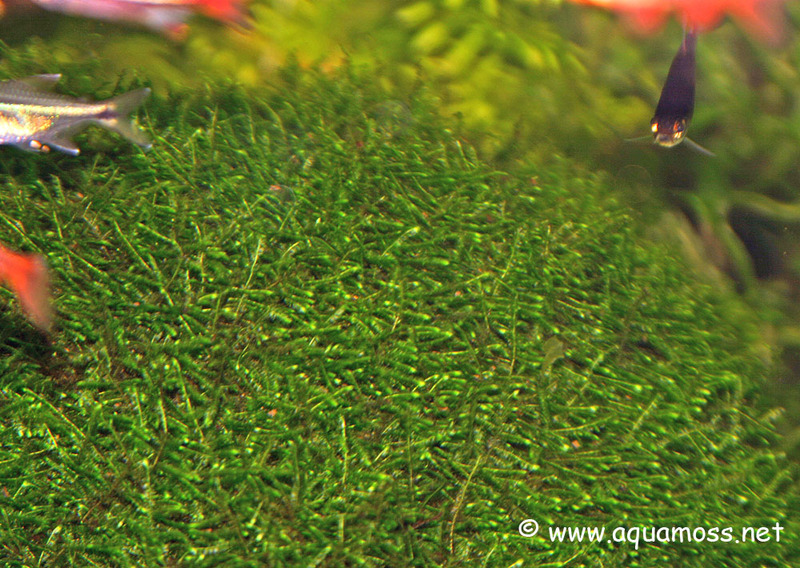 I have yet to grow this moss in my tank, but what Alan told me was that this moss prefers cooler water temperature. 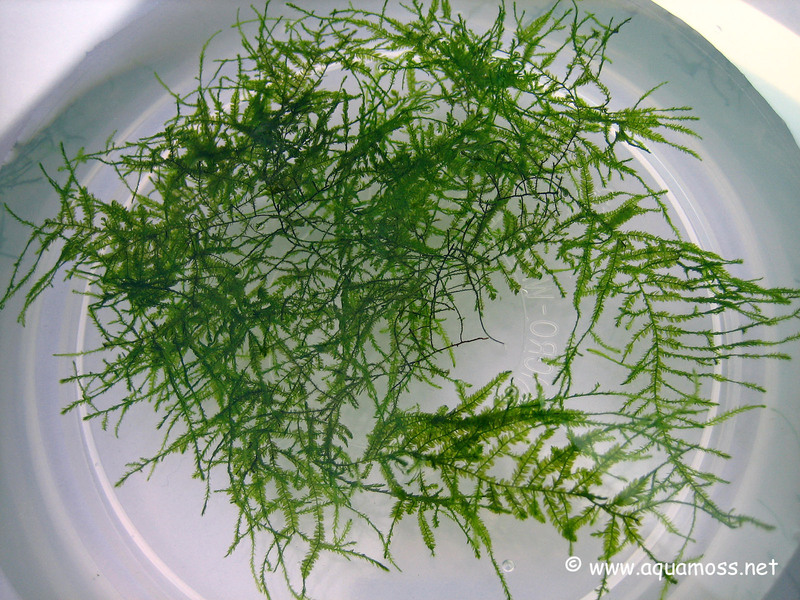 When the temperature gets too warm, the normal room temperature in Singapore climate at about 28°C - 30°C, this moss get 'leggy' and the growth pattern looks very similar to Java Moss. 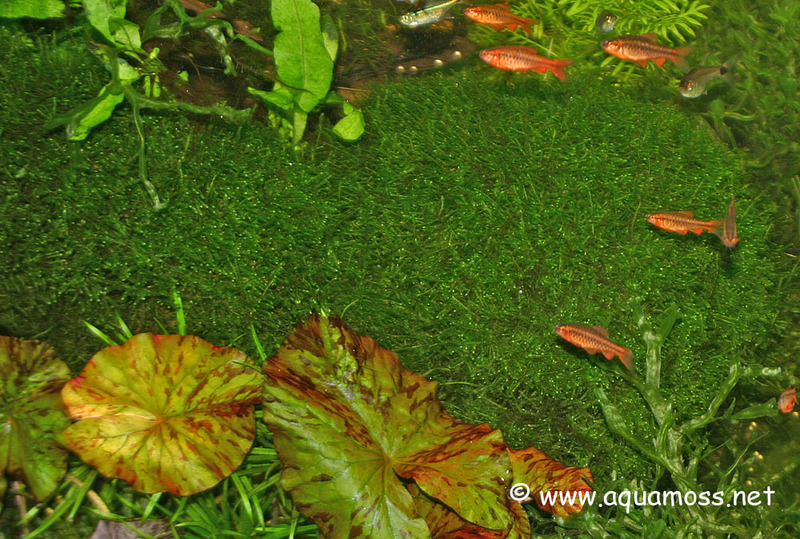 But in his display tank that has chiller to lower the temperature to about 25°C, the uniqueness of this moss can be clearly seen. The leaves of the moss will become very short and branchy, and it will hug tightly to the driftwood it attached to. Alan likes to call this moss 'Mini Moss', but I felt that since there is already another species of aquatic moss that had been called 'Mini Moss', it will create more confusion. 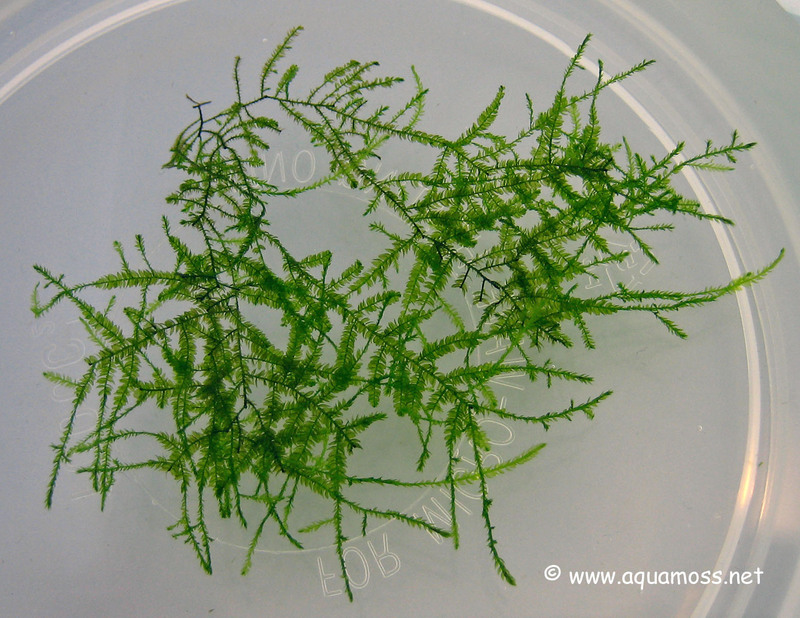 One of my friend was jokingly telling me that this moss looks like a green sock in the tank, which indeed it is, since it's growing hugging to the driftwood. Hence, I would like to call it 'Green Sock Moss' to differentiate it from the other moss. This Green Sock Moss is really quite different from the other Taxiphyllum species. 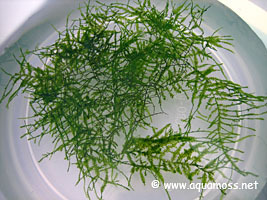 It does not branch out like what you would normally see in Java Moss, Taiwan Moss or Peacock Moss. 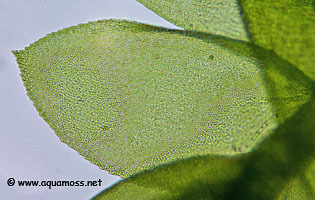 The above pictures are closeup shots which show extensive branching of the Green Sock Moss - Taxiphyllum sp. 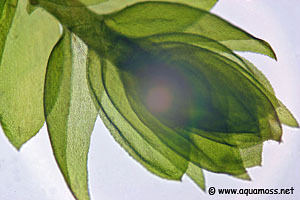 The above pictures of the Green Sock Moss are taken under a microscope and you could clearly see the characteristic leaf cells that are narrowly oblong, which indicates that the moss belongs to the genus Taxiphyllum.